SIRANE is significantly expanding its Telford headquarters after taking over the adjacent premises – increasing the available manufacturing and office space by 40%. Following a number of years of continual growth, the company jumped at the chance to add an additional 43,000 sq ft when it become available earlier this year. Simon Balderson, Sirane MD, said: “Sirane’s been growing for a number of years, we’ve had record turnover year after year, and we needed more manufacturing space and more warehousing, so the opportunity to expand on the same site was perfect. “It also gives us more office space, as well as more room for our labs and NPD areas, and long-term will lead to recruitment of extra staff as we’ll have the space. Earlier this year Sirane acquired flexible packaging manufacturer B&G Products in a move which immediately expanded Sirane’s product range and allows for expansion at B&G. B&G Products, based in rural Staffordshire, is a manufacturer of high-quality and innovative bags and pouches with more than 30 years’ experience in the sector. Around 30 people work at the site in Norbury, and all staff remained in place as part of the sale. The Norbury site is unaffected by the expansion of the Telford operation. We also manufacture a range of medical, horticultural, and specialist products, mainly focused on absorbent products and compostable/sustainable solutions. 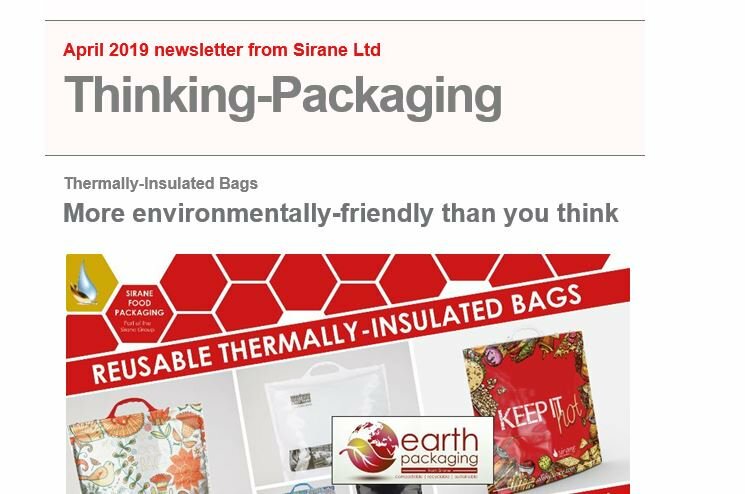 Recent months have seen a significant spike in interest in compostable/sustainable and recyclable packaging solutions, particularly within the food industry – and Sirane has been at the forefront of developing new products that fulfil an ‘environmental’ brief. The company recorded record turnover in 2017 – and looks well on course to repeat the feat this year, with some of the profit being ploughed back into the expansion.